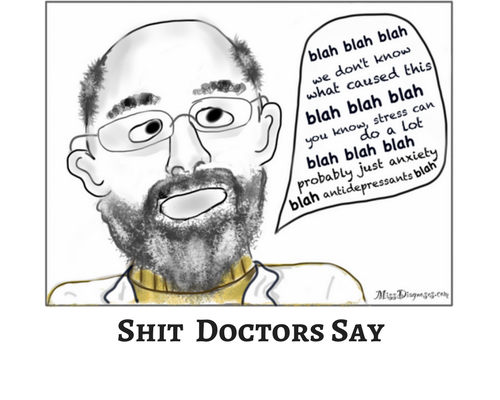 Lymies of the world, we still don’t have disease recognition, accurate testing, sufficient research dollars, Lyme awareness in every state and country, and full insurance coverage for treatment in every state. We should at least get … proper spelling. 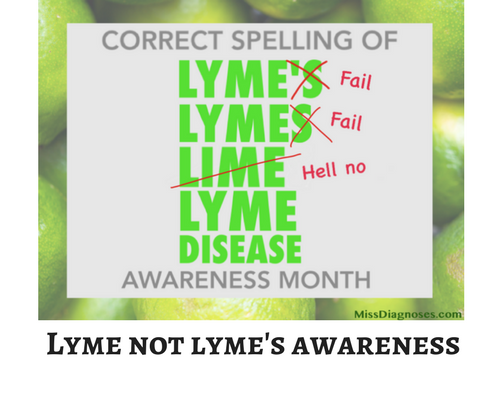 Seriously — “Lyme” is four letters. Why the struggle? My relative made that comment to me more than a year ago, and unfortunately I did not have this comeback until, er, now. 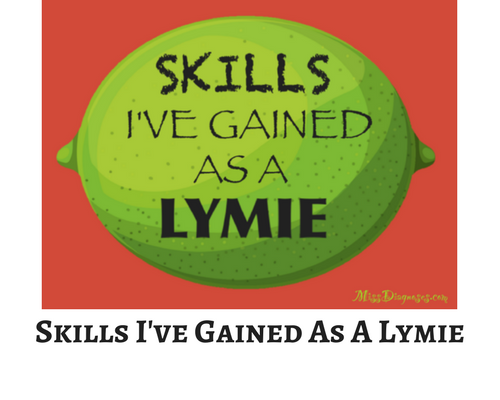 She still doesn’t believe in “Lymes” disease. Here’s a little video of this post. It was originally created as a Facebook slideshow by my awesome friend Lily from The Sleepy Girl Guide to Social Security Disability. Please check out her fantastic blog for super-detailed, helpful information about applying for disability, getting Medicaid, getting homecare, getting home modifications, and everything else a spoonie needs to know. I’m about to try “reblog” let’s see what happens…. In many ways, I got laughter out of it! Thank you for putting humor into such a serious topic! I needed the laughs!